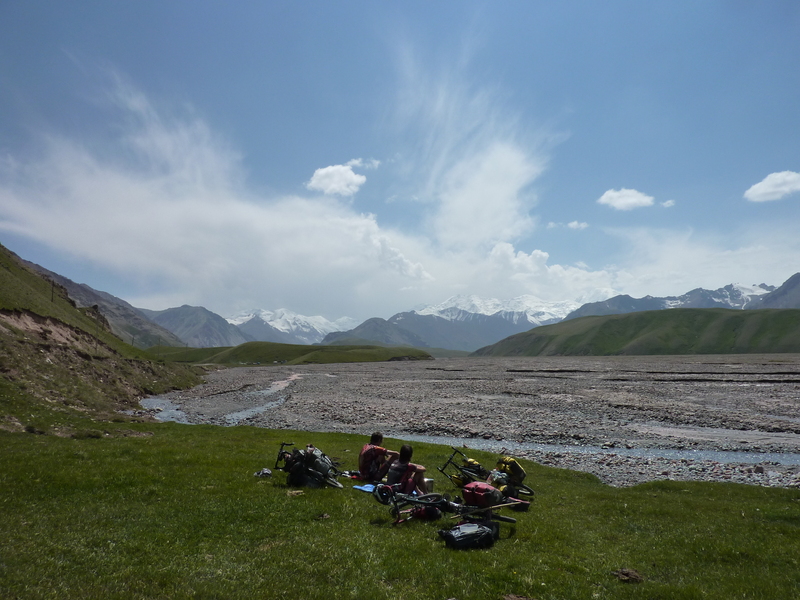 Murghab was originally where we intended to write this blog post. However, we soon discovered that the town’s one internet-enabled computer was barely up to the task of loading Gmail, let alone uploading any photos. 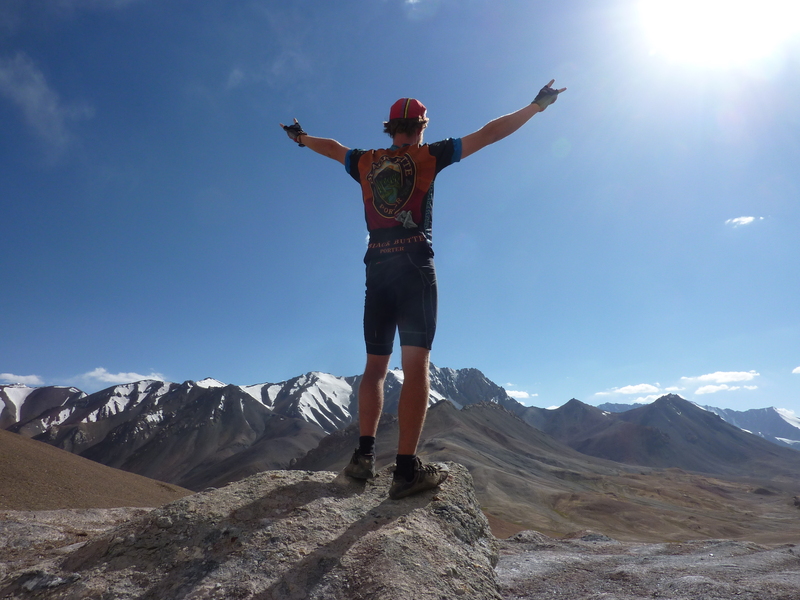 Therefore, we are now in Kyrgyzstan and have left the Pamirs, and Tajikistan, behind us. 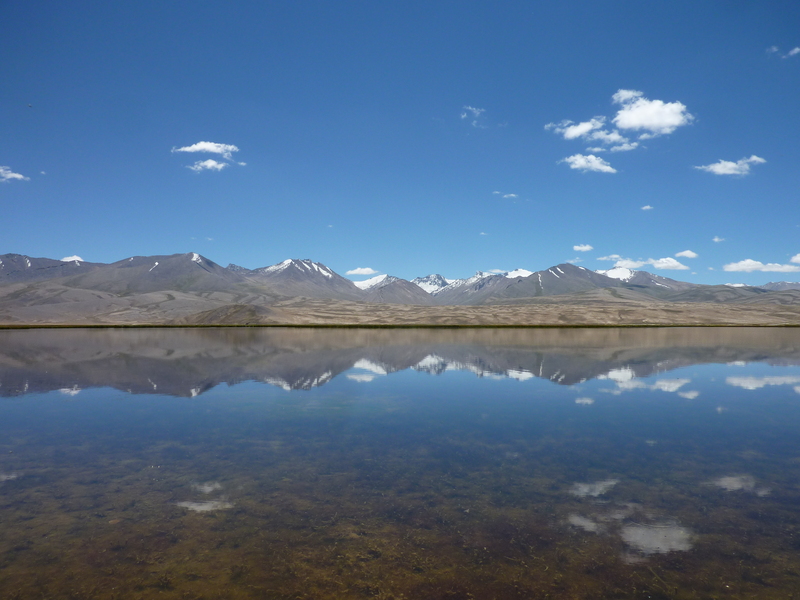 Despite our shared desire to see the Pamirs, from Khorog we actually avoided the famous Pamir Highway and took a slight detour down the Wakhan Valley. 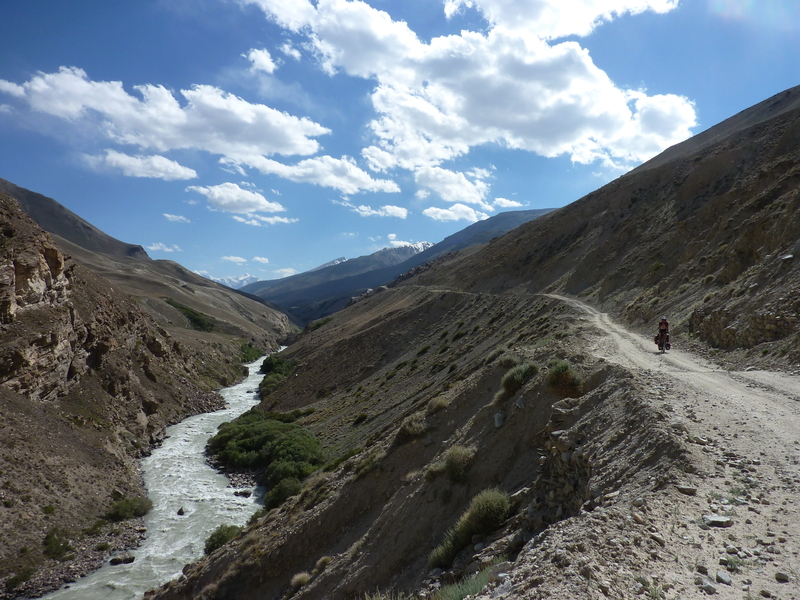 This is a remote river valley that runs along the Afghan border and, due to the terrible road quality and its remoteness, this route is, as we discovered, much harder than the corresponding section of the Pamir Highway. There was slight trepidation about taking on this extra (150km longer) challenge, particularly since Andrew was doing battle with some intestine-dwelling parasites and Rob was still feeling lethargic from cellulitis. However, on the morning of the second day, as we relaxed in the warm waters of a hot spring with the stunning mountains of Afghanistan looming over us, we felt our decision had been vindicated. Furthermore, as we pushed further up the valley, the terrain became more rugged and the size of the mountains opposite us grew. At times, it was possible to see the snow-capped peaks of the Hindu Kush rising out of Pakistan, towering over their smaller Afghan counterparts. 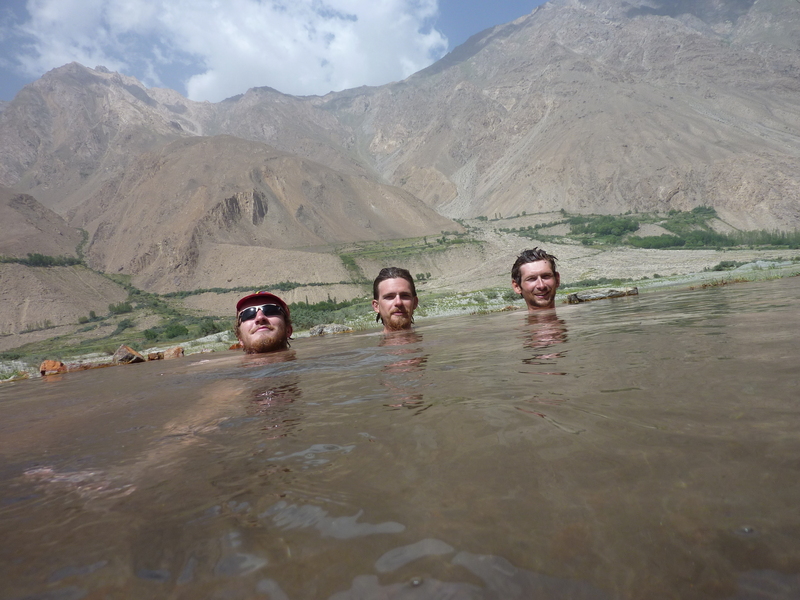 All the time, the Wakhan Corridor, Afghanistan’s most remote corner, was only a river’s width away. 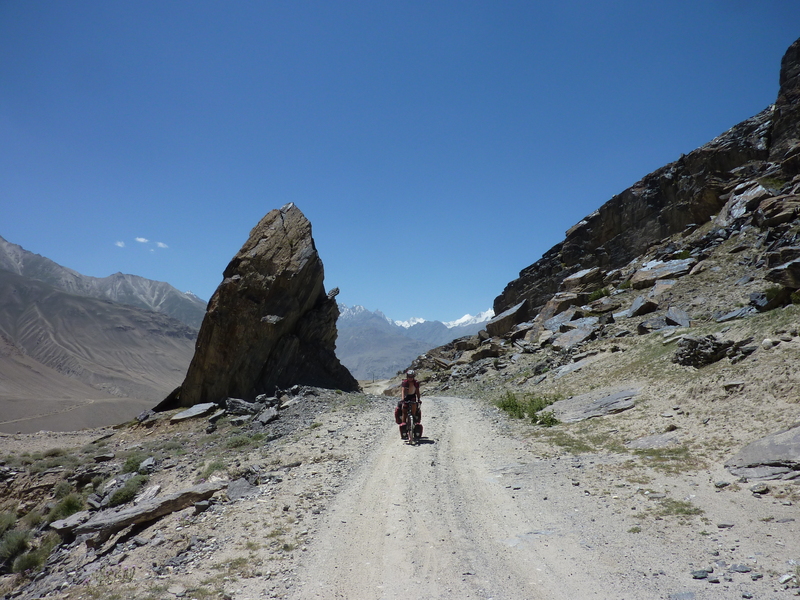 That is not to say that the Wakhan Valley was easy cycling. 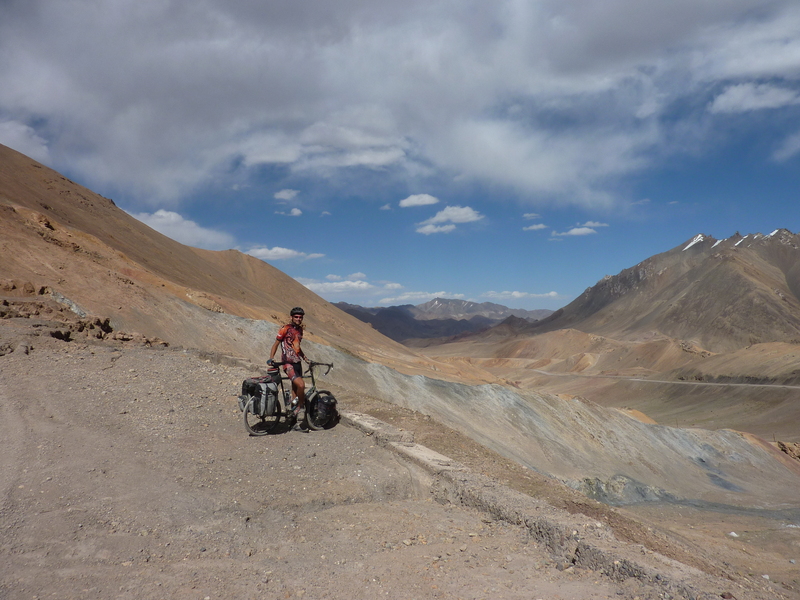 Beyond the last village, as we climbed towards our first 4000+ metre pass, the road turned to sand and gravel. 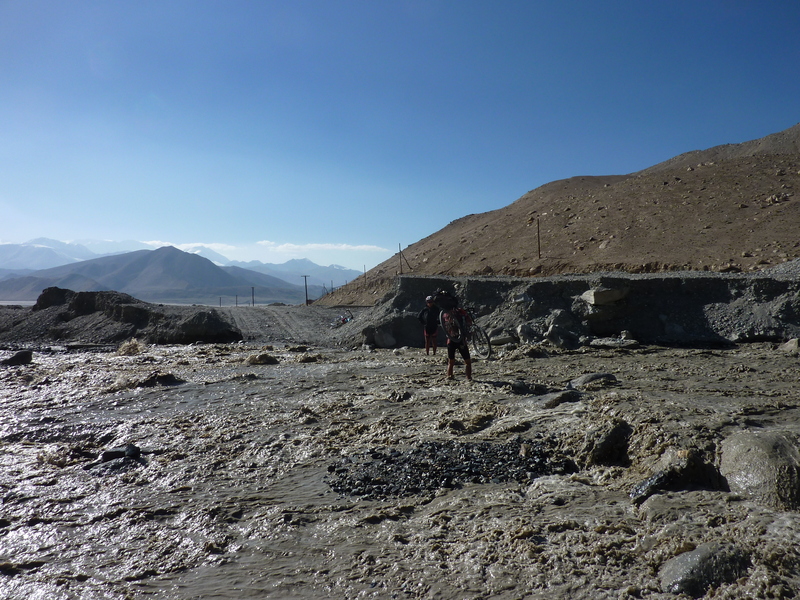 Suddenly, memories of the Kazakh desert road flooded back. Except, this time the terrain was no longer flat and the air was markedly thinner. For the first time, we found ourselves thinking that the Kazakh road really wasn’t that bad. 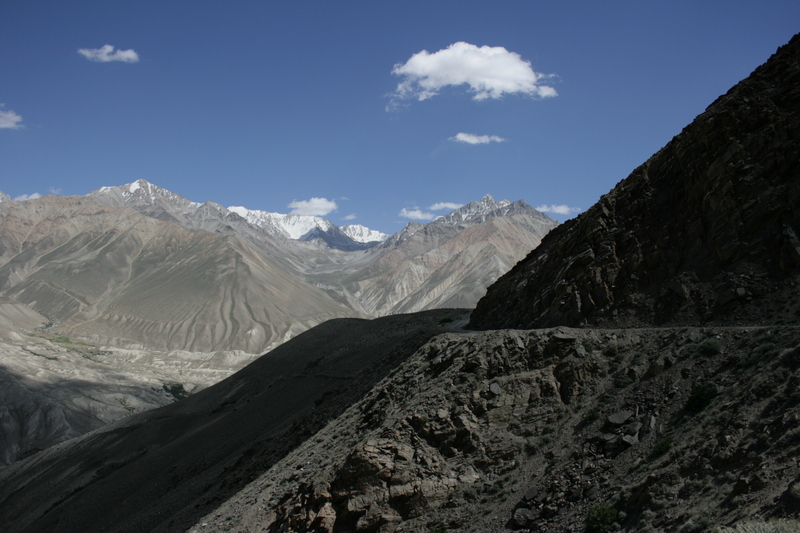 In fact, when we finally joined up with the Pamir Highway, and returned to asphalt, there was a palpable sense of euphoria. Andrew was so elated that he celebrated by sprinting up the first hillock we encountered. Only as he gulped down precious oxygen at the top, on the verge of passing out, was his joy tempered somewhat. After all, we were still at 3900 metres. 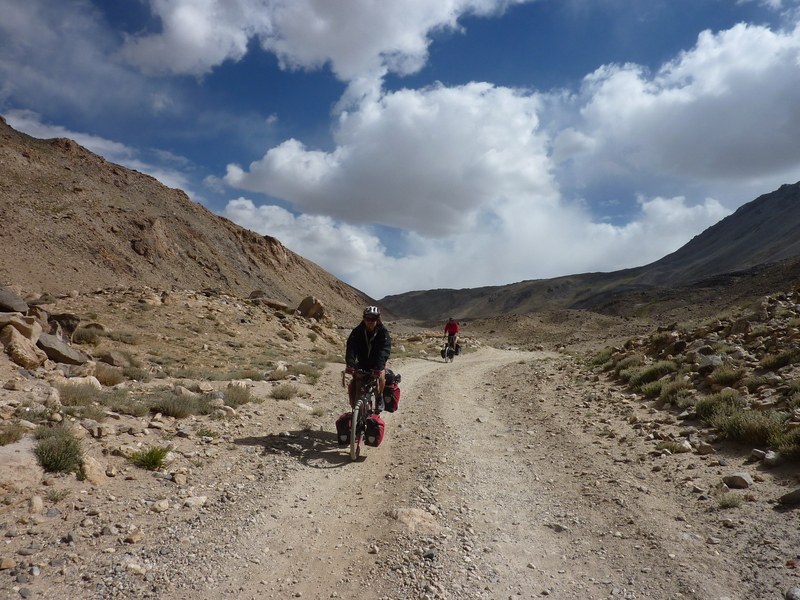 After the challenges of the Wakhan Valley, the riding on the Pamir Plateau seemed easy, despite the altitude. We flew over another 4200 metre pass and headed down into the small village of Murgab, capital of the remote Eastern Pamirs. Despite its scenic location, Murgab rivals only Nukus for things to see and do. Fortunately for us, a couple of fellow Nukus-loving Brits (Alexei and Matt), whom we have long been on the trail of, were also there. We were first alerted to their existence back in Nukus and it seemed almost serendipitous that we should bump into them in Murgab, almost a month later. 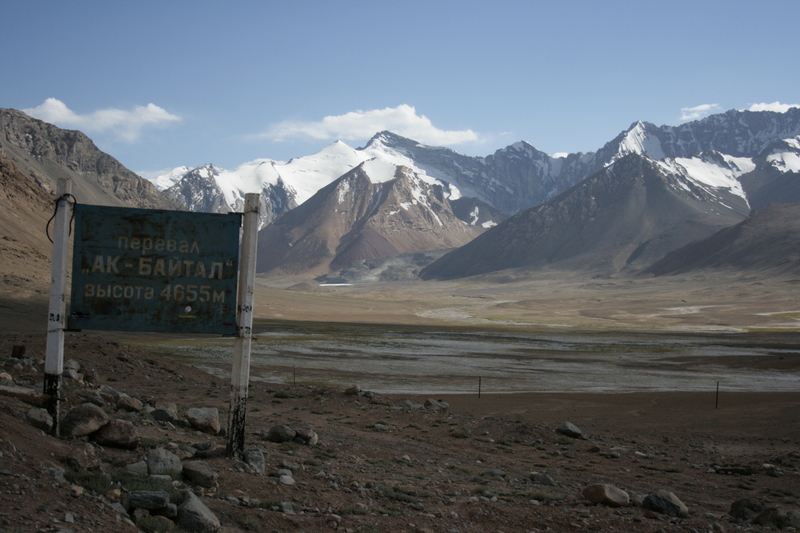 As we continued on the Pamir Highway, it swung towards China and for large sections after Murgab, the Chinese border fence was only a dozen metres away. Obviously, international borders are inviolable things that are far greater than the feeble looking barbed wire fences that delineate them. Therefore, we would never have stepped into China. Even if there was no-one around and a huge gap in the fence. Never. Not long after we departed Murgab, the highest pass of our trip approached. The Ak Baital pass stands at 4655 metres and could quite possibly be the highest any of us ever reach in our lives (under our own steam). Thanks to the ‘Pish Pact’, which was an agreement reached in the tiny village of Pish, there was to be no racing to the top of the pass. It was agreed that this was the pinnacle (literally) of our trip and it would be reached together. This was fortunate because, as we approached the pass, our lungs screamed for more oxygen and, in turn, our legs screamed for oxygenated blood. Turning the pedals was an effort in itself – racing to the top was the last thing any of us wanted. The feeling as we stood atop the pass was one of exhilaration and disbelief. For months this pass had merely been numbers on a map and now we were finally there. To reach such a height on a bike seemed unbelievable, and yet we had done it. To put the height of the Ak Baital pass into perspective, the summit of Mont Blanc is only 155 metres higher. Furthermore, if the Ak Baital pass were a mountain in Europe, it would be the eighth highest on the entire continent. 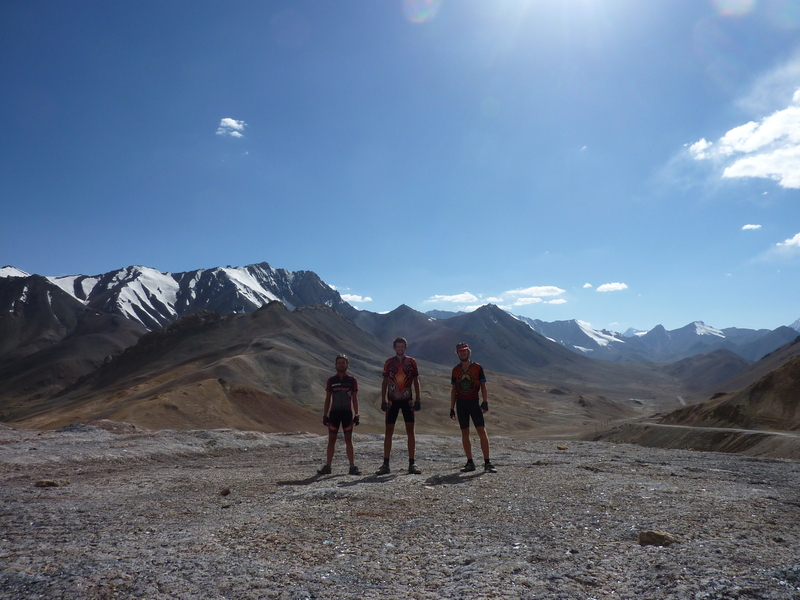 From Ak Baital, only two passes remained between us and Kyrgzstan. Despite a stiff headwind that plagued us from Murgab onwards, we brushed these climbs aside and soon found ourselves swiftly descending into country number eighteen. Soon, the air started to feel thicker and warmer, whilst the landscape around us became green and fertile. 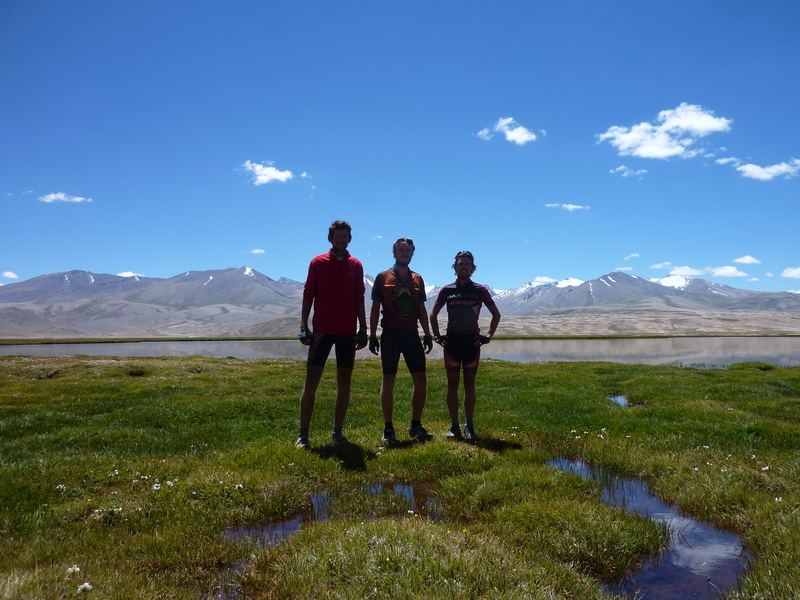 We finally began to cash in on some of those hard earned metres of altitude that we had ground out over the previous couple of weeks, and raced onwards towards Osh, Kyrgyzstan’s second largest city. Osh is where, for one of us, the journey will end. But don’t worry, the wheels on the Tourient Express will keep on turning. Incredible – just incredible. Well done guys. Thanks! Congrats on the new job, by the way. You are awesome men! Chapeau and chapeau again. (or is that chappo) huge respect. well done to you all and safe journey Andy. Truly amazing – well done lads !!! !